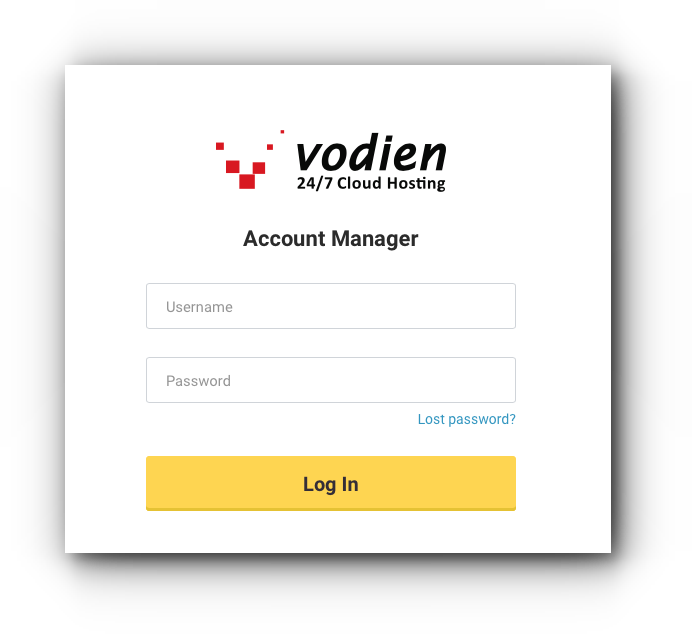 Some users may not want to use the default Vodien name servers; thus, want to use their own which is connected to their domain name. VPS, Dedicated Server and Reseller hosting plans can use their own custom name servers. Please be guided by the instructions from this article on how you can register custom domain name servers for your account. Step 3. Choose the domain that you wish to update name servers. Step 4. Locate Name Servers and click the ‘name servers’ menu. Step 5. 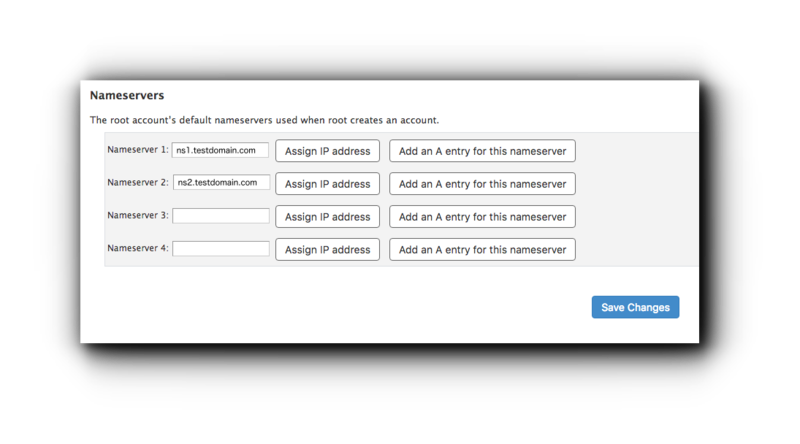 Select “Add name servers”. Step 6. Enter your desired name servers. 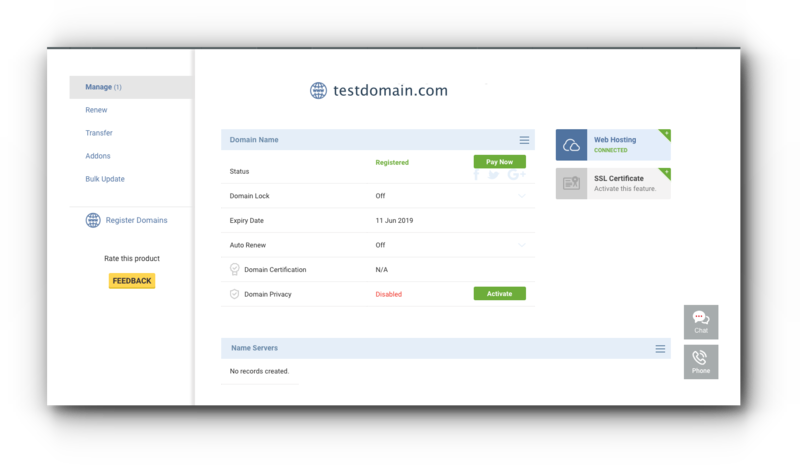 As an example in the screenshot below, ns1.testdomain.com is the customized name server and 68.178.213.61 is the assigned IP address of your Reseller, VPS or Dedicated Server hosting package. Click +Add Name Server to add more than 1. Step 7. 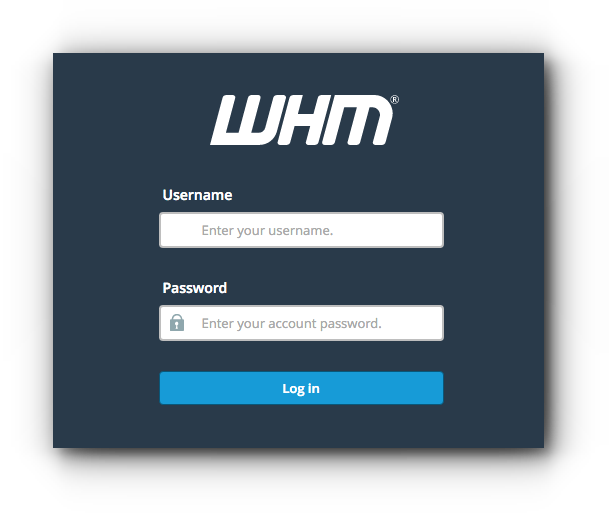 If you are not sure what is the assigned IP address, log in to WHM. Step 8. 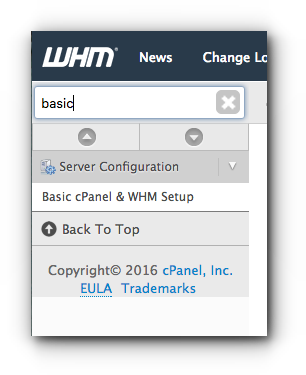 Look for the Basic cPanel & WHM setup. Step 9. Check the Basic Config, located at the right-hand part of the page is your IP address. You may also refer to the welcome email you have received upon the purchase with the subject “New Server Information”. Step 10. Once you have registered the nameservers in the billing client area, check whether it coincides with the information in the Nameservers area in the WHM when you go to the Basic cPanel and WHM setup page. This is located at the bottom part of the page. For domain names that are registered with another registrar, kindly contact them for the setup and provide them your IP address. How to check if the nameservers are working? Step 1. 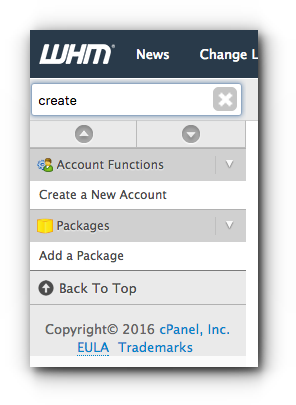 Create a cPanel account with a domain name that is using the costumed name servers in WHM. Step 2. 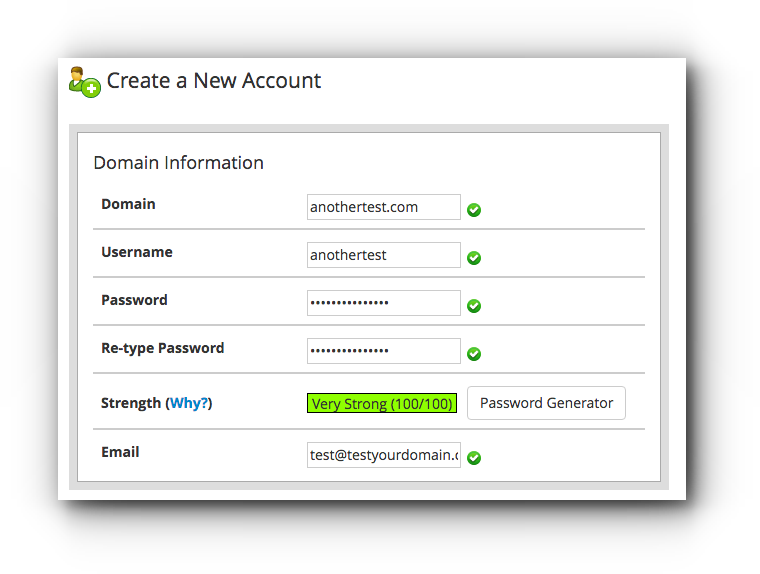 Add the domain name, username of the cPanel account, password and email address. Step 3. 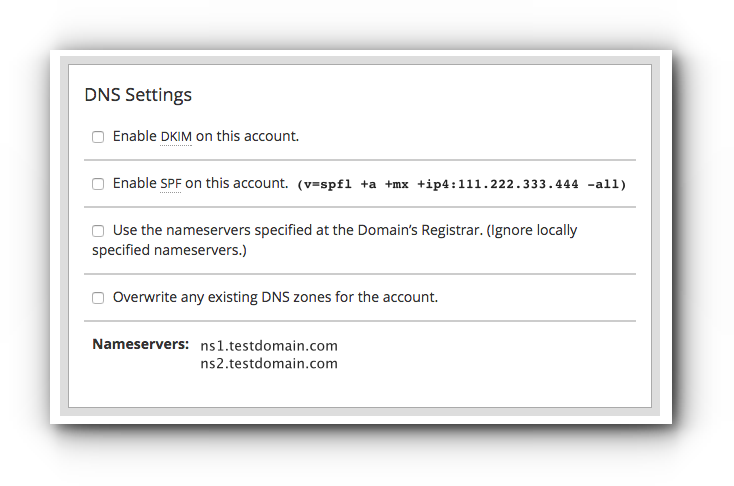 When you scroll down to the DNS Settings area, the created nameservers are found there. Step 4. 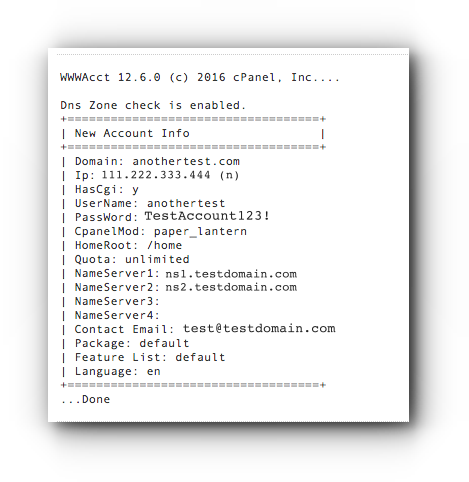 Once the cPanel account is created, a confirmation page will show your cPanel credentials. Step 5. Connect to your SSH, terminal or command prompt. This checks if Google can find the name servers and should show the ones you have created for the domain name.